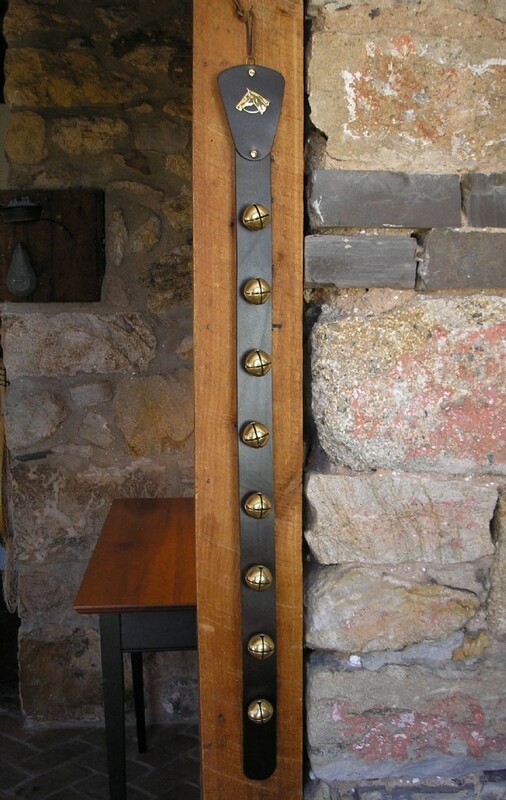 Sleigh Bells to enjoy all year long. 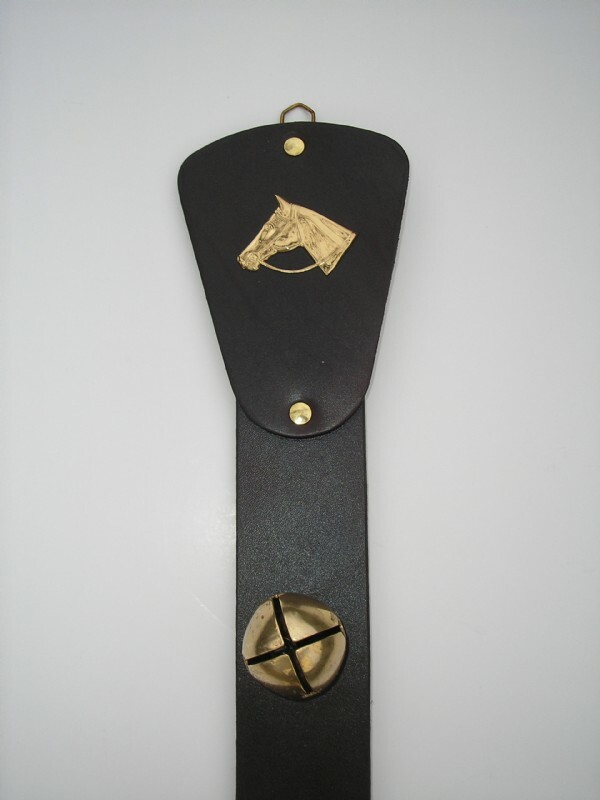 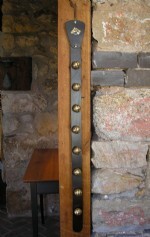 8 Solid Brass Bells hand tied on Genuine Leather Strap with Brass Horse Head with Bridle. 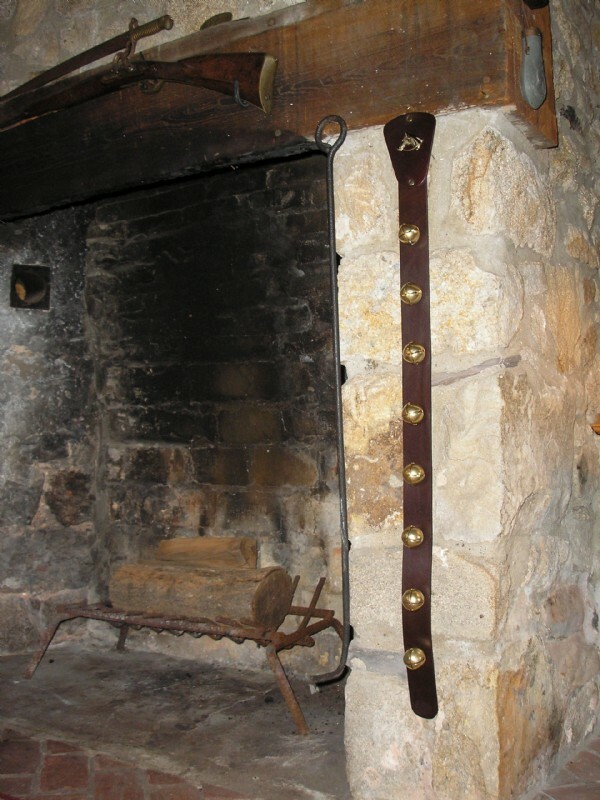 Hang on a door, by the fire, on a beam or wall. 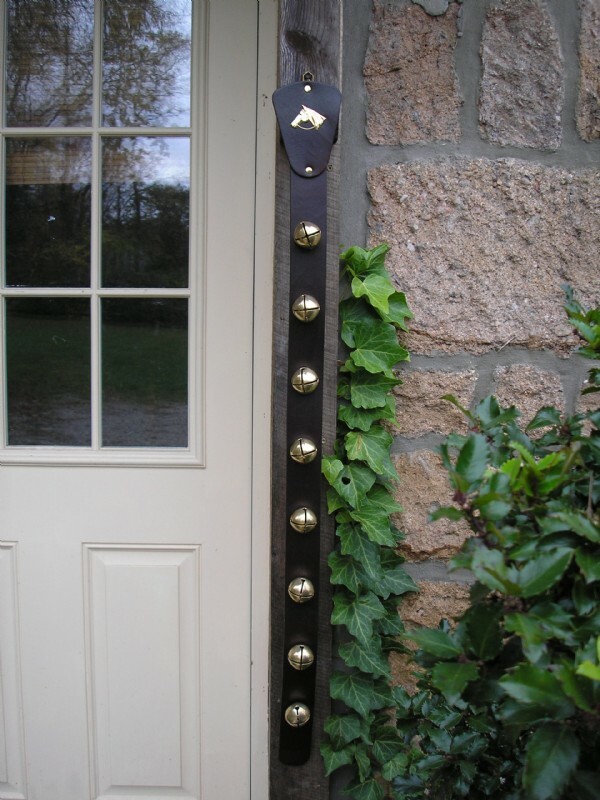 Makes a welcoming Holiday Decoration and a wonderful gift. 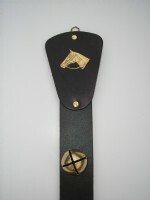 Measures 42+1/4" long (not including Leather Hanging Tie) x 3+5/8" wide at top and then tapers to 2" wide strap. 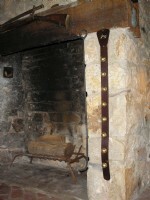 Strap is Deep Mahogany Brown color.